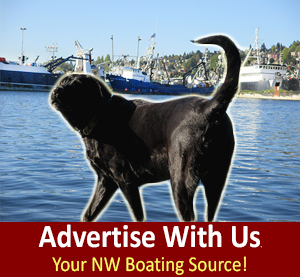 Trawler Fest Anacortes, May 13 – 17, 2014 at Cap Sante Marina also know as Cap Sante Boat Haven. The adorable, quaint town of Anacortes is majestic, beautiful and relaxing for green and seasoned boaters. We invite you to join us this May at Trawler Fest – its unlike any other boat show, boat owners are encouraged to come by boat. The big white tent was high in fun factor this year; with no shortage of happy boat dogs and delighted owners who have grand cruising plans. For the ‘green Trawler Fest’ exhibitors – you know who you are – they have now been properly ‘seasoned’ – with much thanks to the local watering hole The Brown Lantern. 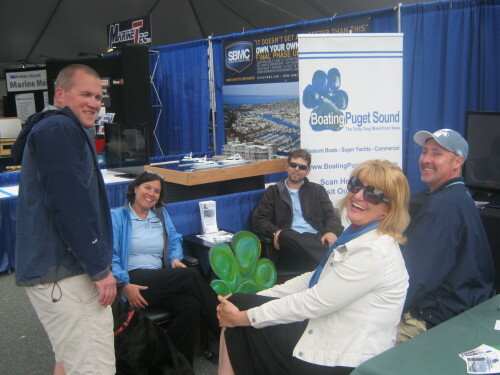 Trawler Fest – Land Exhibitors & Attendee’s – Enjoying the Show! 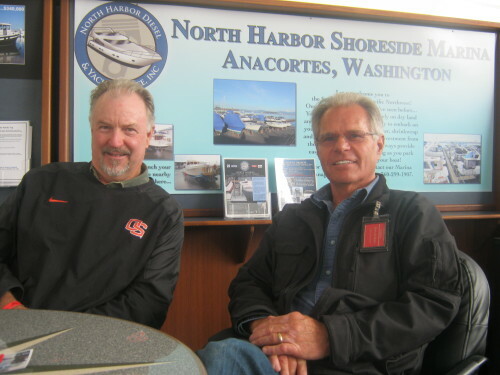 On-land boat manufacturers and exhibitors offered a variety of goods and services such as, marine hardware (Quickline), decks (Addison Marine), electronics (Anacortes Marine Electronics), boating equipment (Fenderhooks), yacht repair yards (Platypus Marine), marine seating (Llebroc Helmchairs), charters & training (Captain Chris Yacht Services), builders (Seaton Yachts), marinas (Salmon Bay Marine Center), insurance (Boat Insurance), marine publications such as Salty Dog Boating News and Sea Magazine… the list goes on. Upbeat Sales Manager Michelle McIntosh-Murray was even offering FREE one year Sea Magazine subscriptions, for the first time ever in their 100 year history. Throughout the tent were scheduled educational seminars and activities; some of which were inspired and motivated by exhibitors on the fly. Trawler Fest’s in-water dealers and boat builders always display a wide variety of boats including trawlers, yachts and cruisers. Congratulations to DeFever for winning the ‘People’s Choice Award!’ Kadey-Krogen has won the past 4 years in a row; 2013 was time to pass the baton. 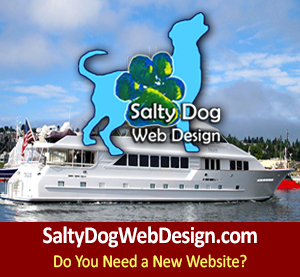 Salty Dog Boating News Booth: Early Happy Hour Destination for all! Thank you again to the Trawler Fest Fest Staff – you all work your tails off to put on a great show, smile always, and practice amazing hospitality. Trawler Fest is more than a boat show – it’s like going to ‘boat camp!’ Where drinks flow, sea stories take on a new life, and people are inspired to stretch their sea legs! 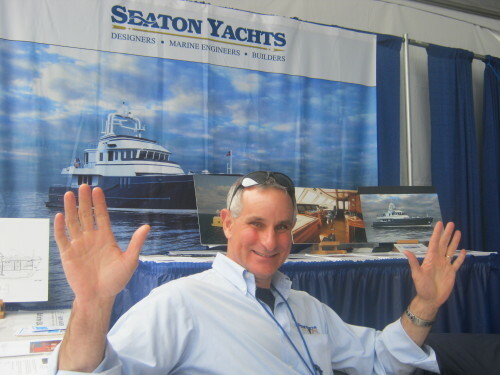 Closing Deals & Making Sales Inside the Tent at Trawler Fest! Don’t worry if you’re ‘green’! We shall give you proper salty seasoning by the end of the show! 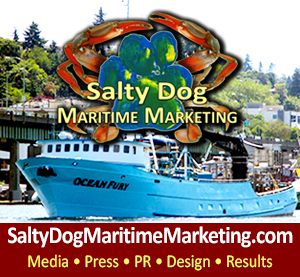 Anacortes Trawler Fest 2014 – Head to Baltimore in September! 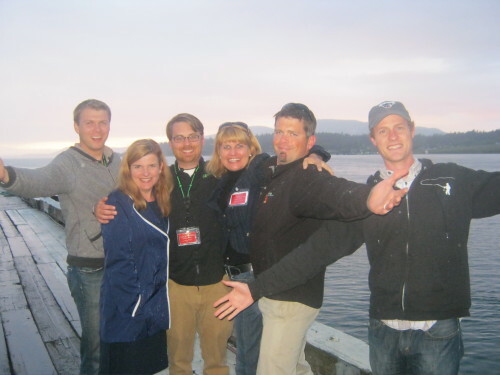 Previous postOpening Day of Boating Season May 3,2014 - Seattle Yacht Club, Boat Parade, Windermere Cup & UW Crew - Official Opening of NW Boating Season! 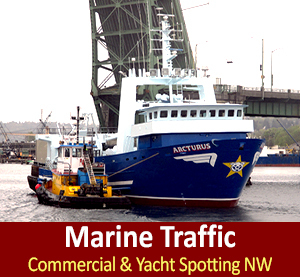 Next postUnited Yacht Transport - Yacht Transport Summer Sailing Schedule 2014! They feature 'Price Beat Guarantee' - Ship with United this Summer!